Leading Manufacturer of hastelloy sheet and super duplex steel pipe from Mumbai. 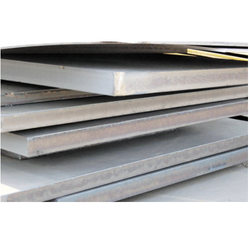 We Understand the requirements of customers, we are engaged in providing optimum quality Hastelloy Sheet.These alloys are made using high-grade metal, keeping in mind the well-defined quality standards. To fit the various needs of customers, we provide alloys as per their specified details. Available in form of sheets, bars, plates, rods, tubes, and pipes. These alloys are in-line with 800H UNS NO 8810 standards. We Reliable Polymer Industries Manufacturer, Export and suppliers of Super Duplex Steel Pipes are manufactured from quality raw materials and is highly demanded by our clients spread across the globe. Our range of super duplex steel tubes is widely used as heat exchangers in refinery industries, petrochemical plants, paper pulp industries, sugar beverage industries.